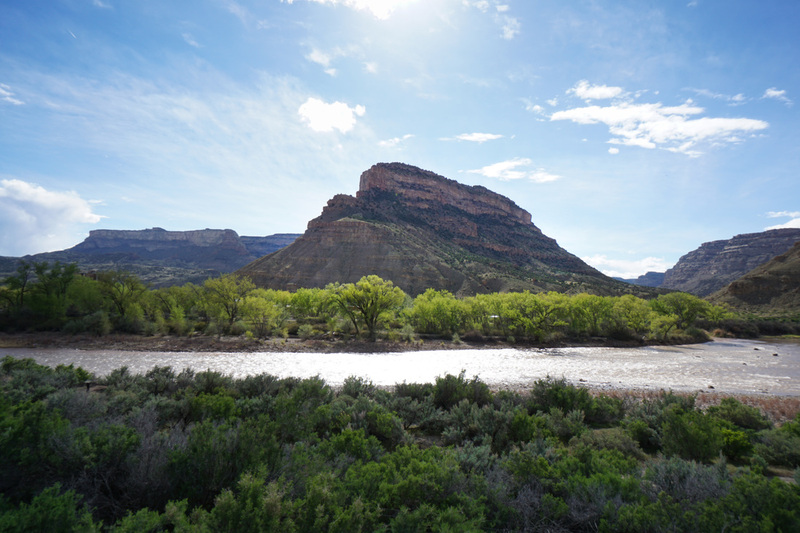 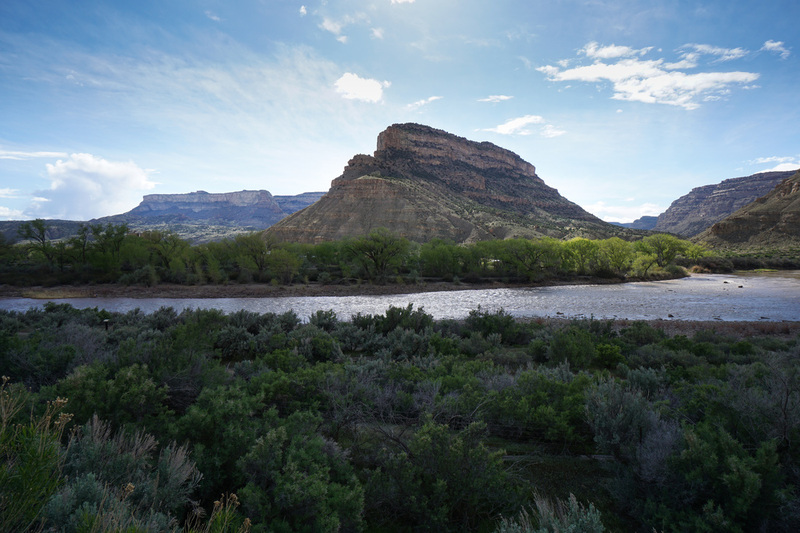 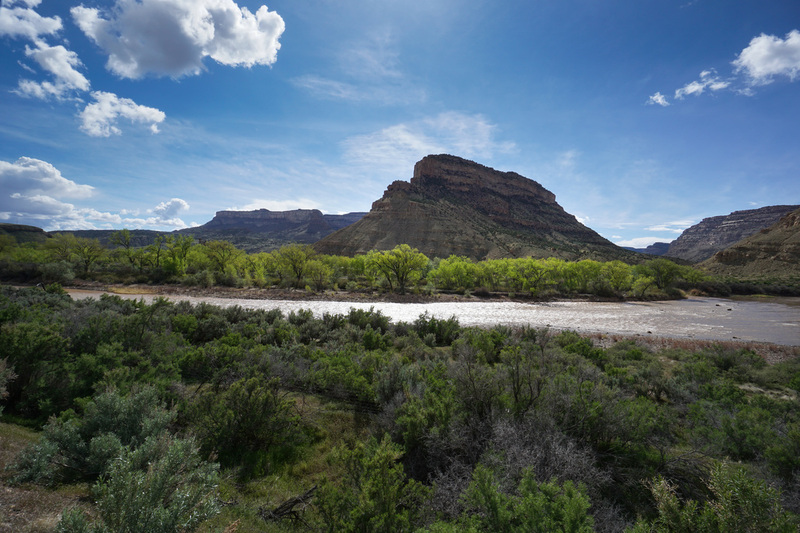 Directions: From I-70, exit at the exit signed for James M. Robb Colorado River State Park, just before the 1st exit for Palisade, CO. 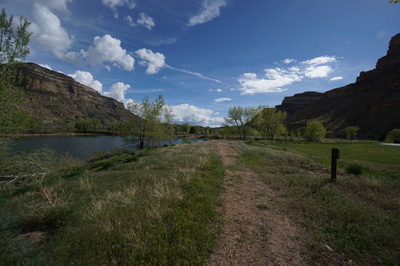 Turn right after the exit and enter the park's fee station. 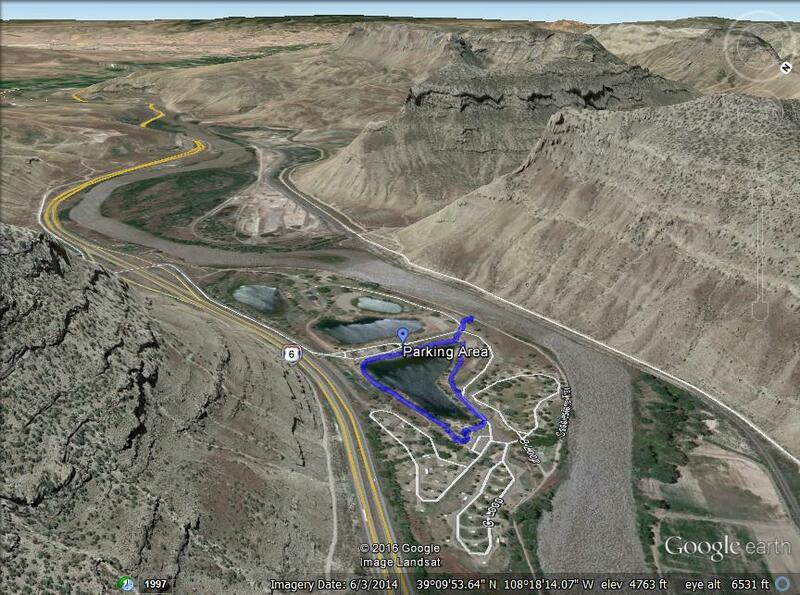 You can park at the 1st parking area, or any other. 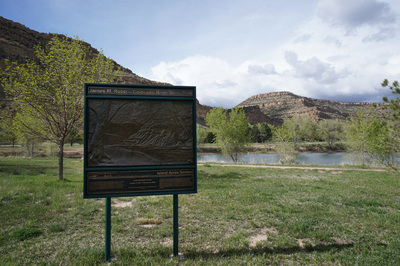 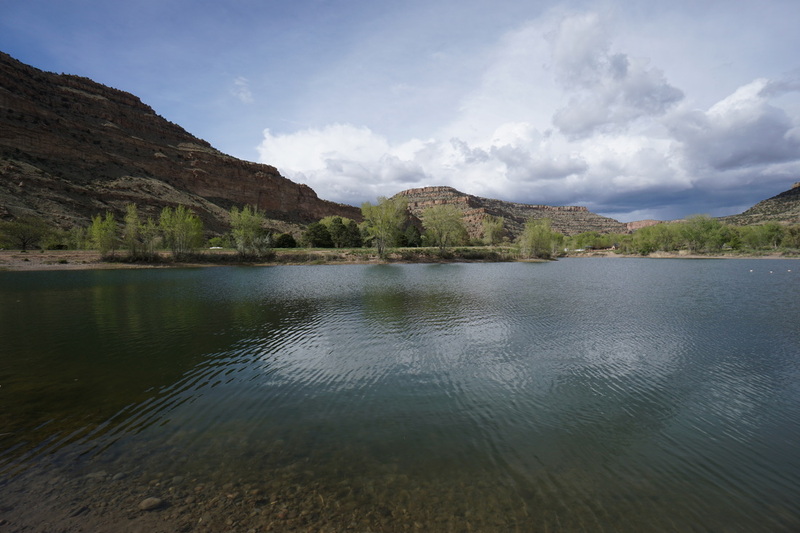 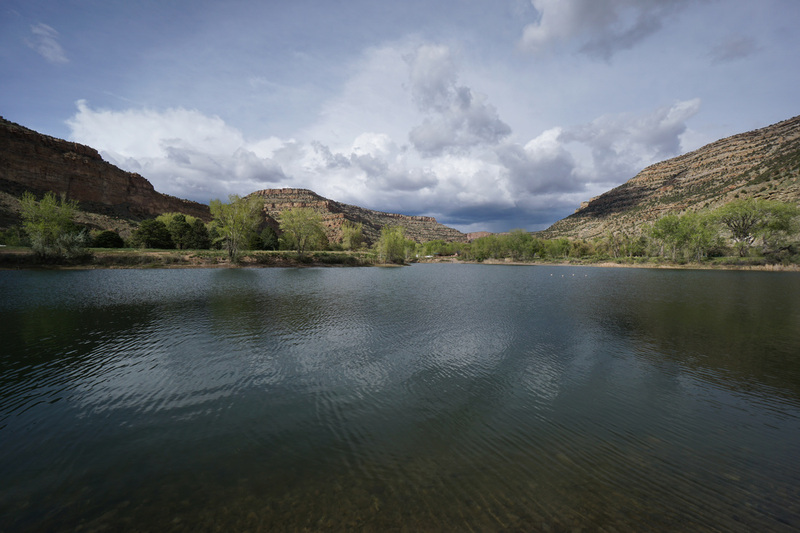 The Colorado River State Park has many different units all along the Colorado River in the Grand Valley Area. 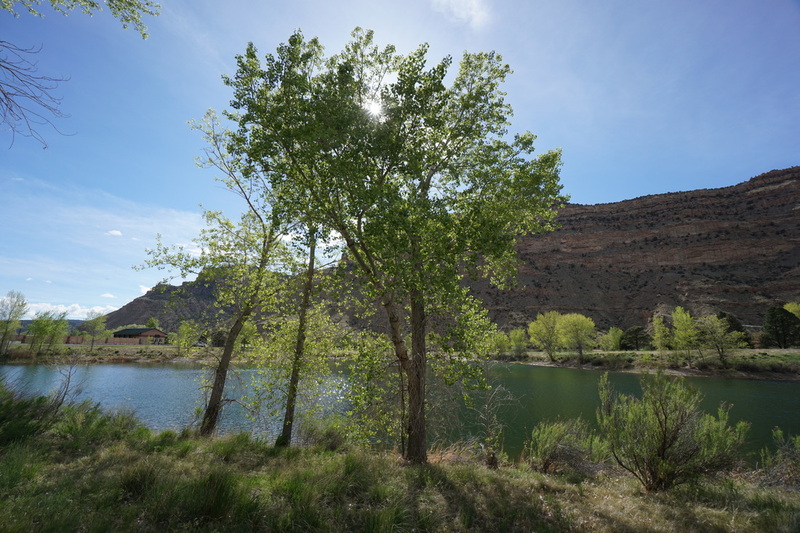 The Island Acres Unit is stunning. 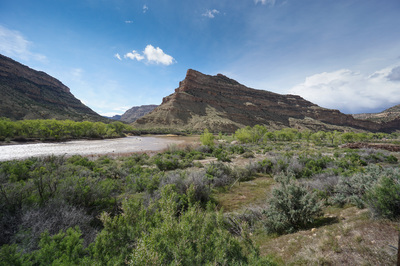 This section of the river is nestled against dramatic desert cliffs at the bottom of a magnificent canyon. 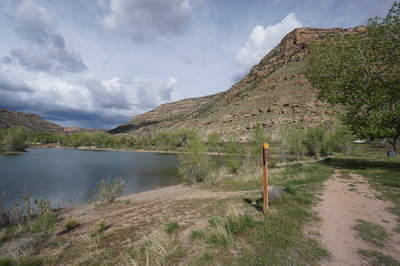 There are two official trails in the park, the Old Orchard Trail, shown here, is about 1/2 mile and circles Orchard Lake. The lake views with the canyon in the background are wonderful. 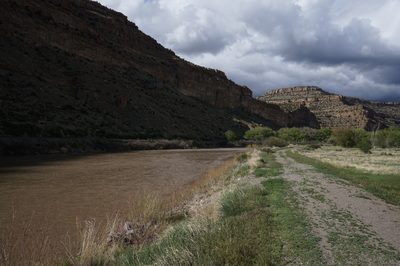 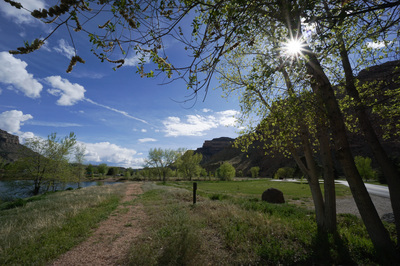 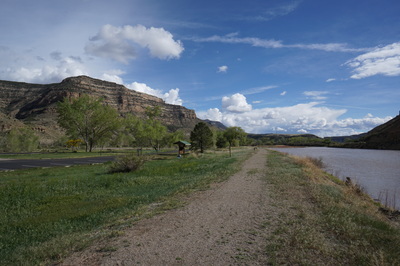 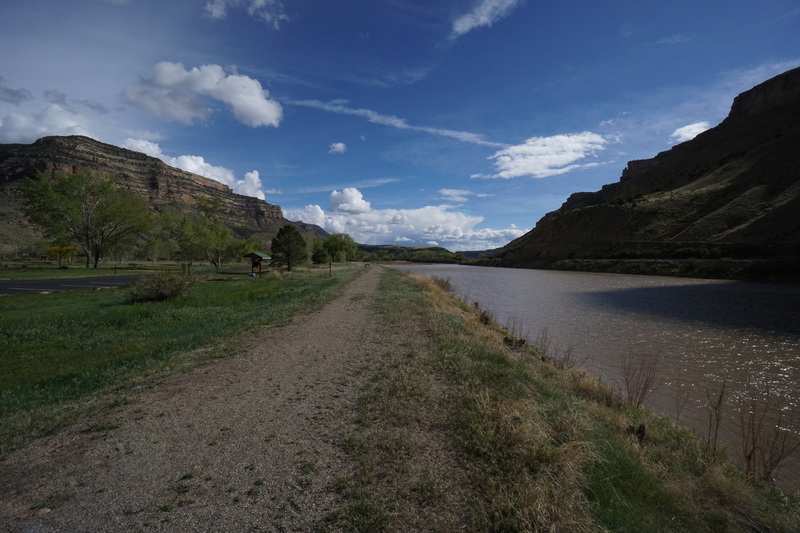 The other trail is the Cobblestone Trail which follows the Colorado River for about a mile. 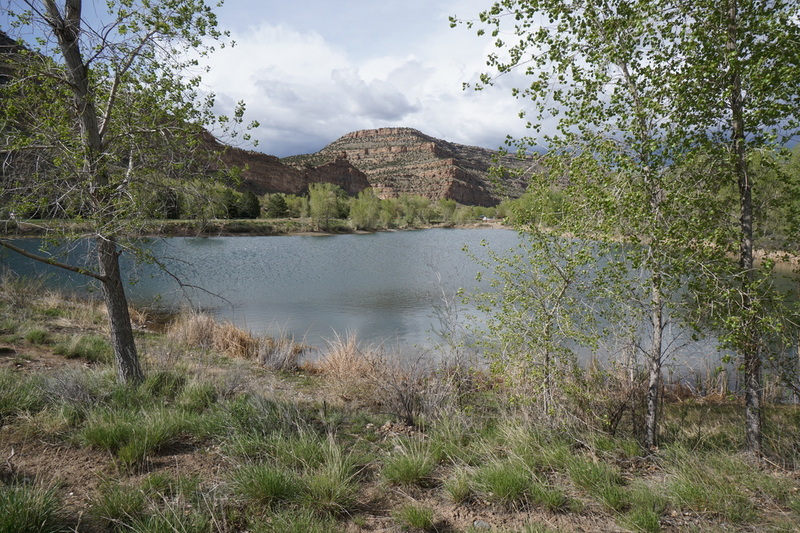 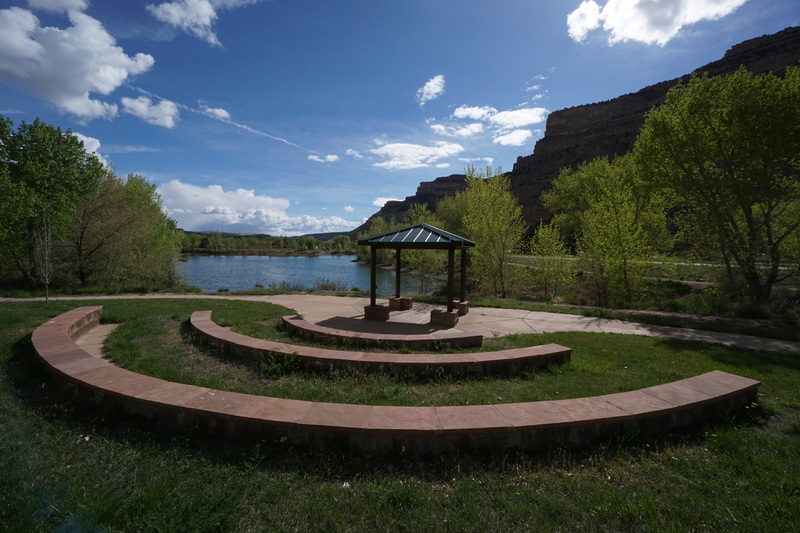 You can easily combine these two trails for a longer hike in this unit, or just explore the various lakes and ponds on your own. 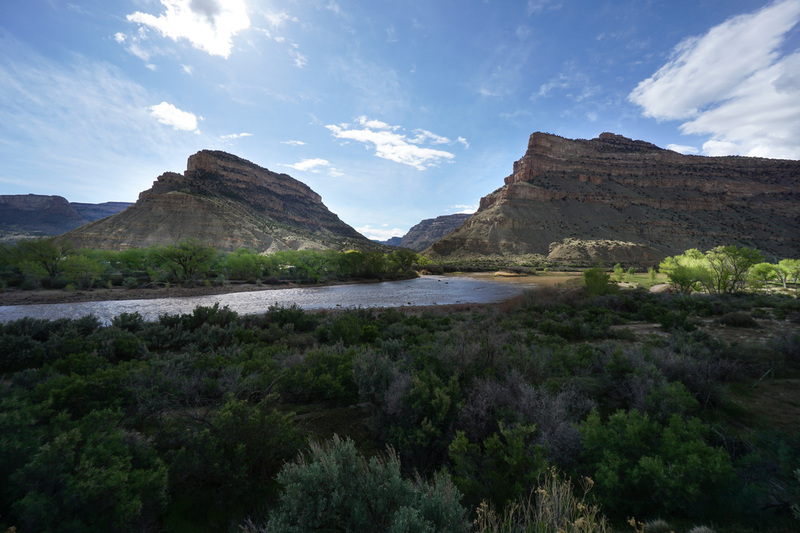 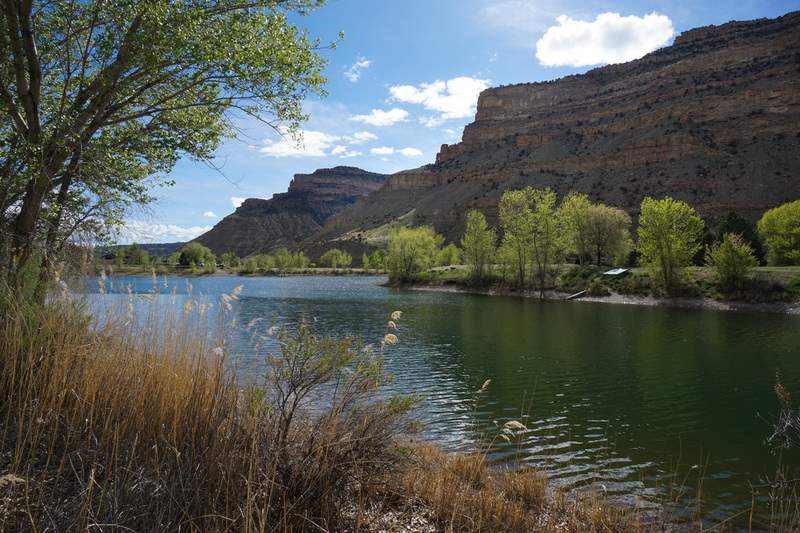 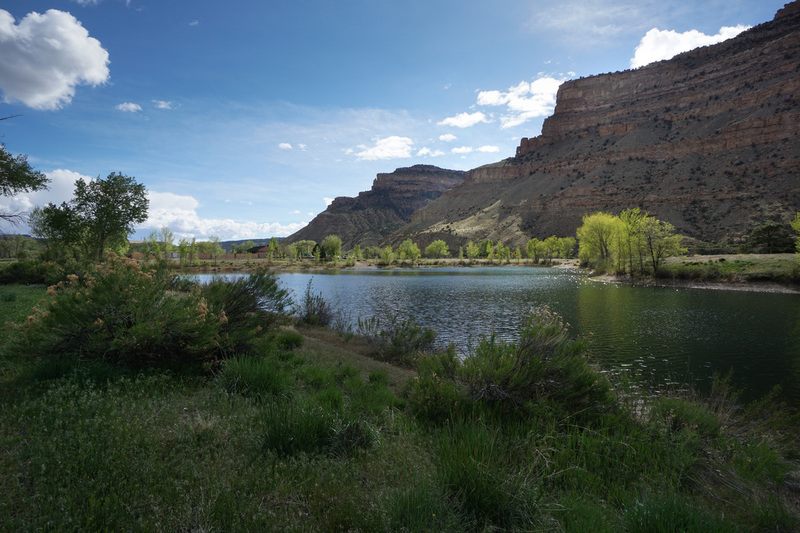 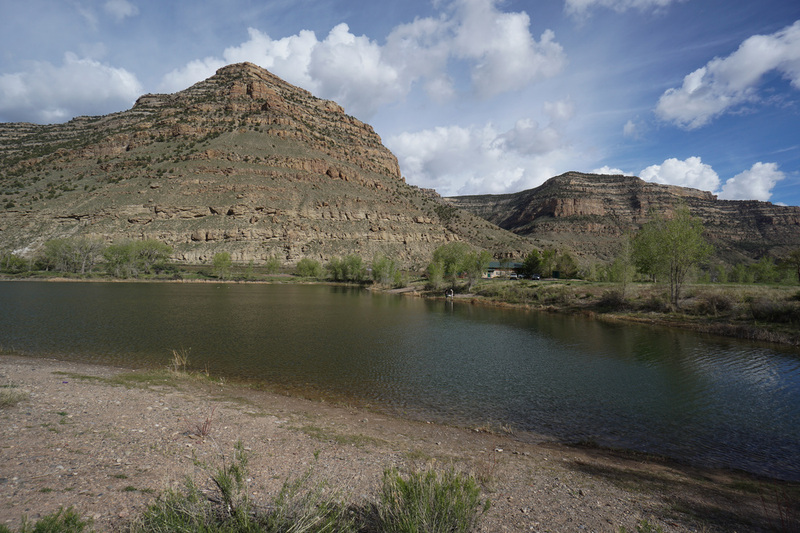 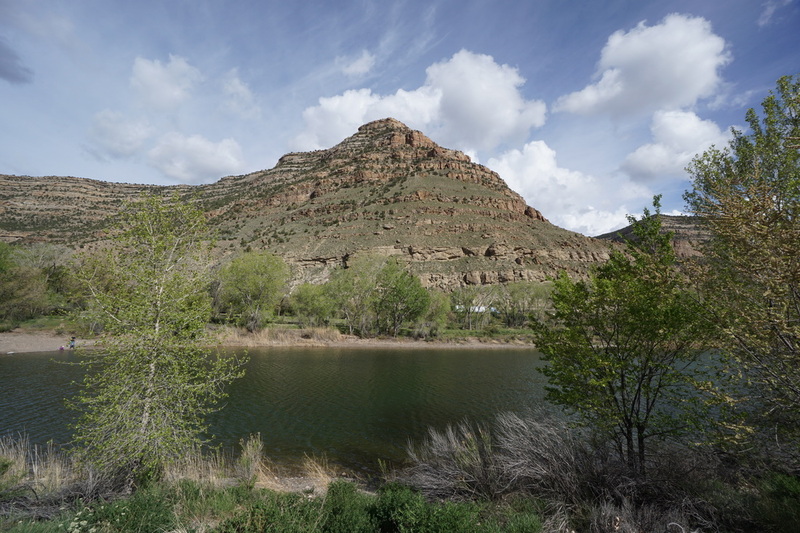 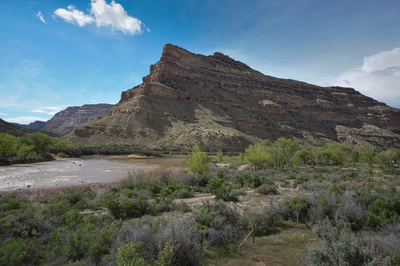 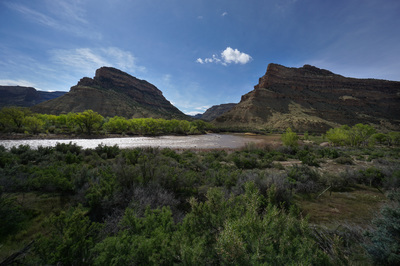 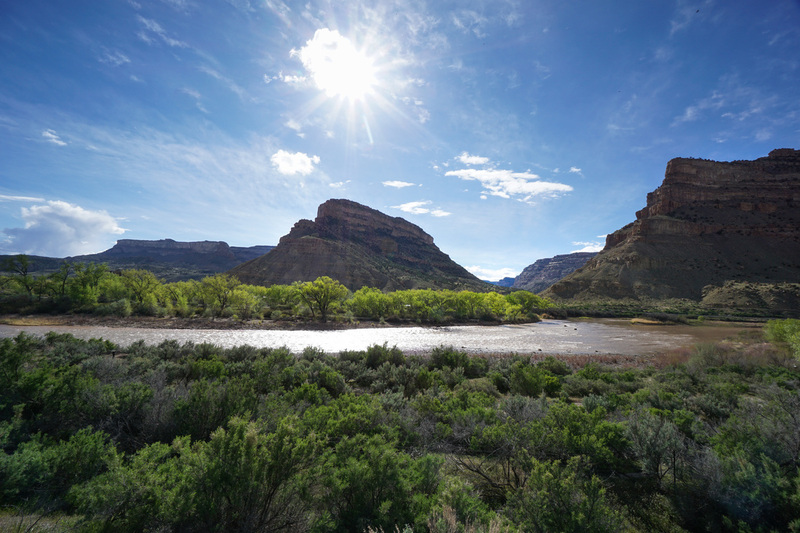 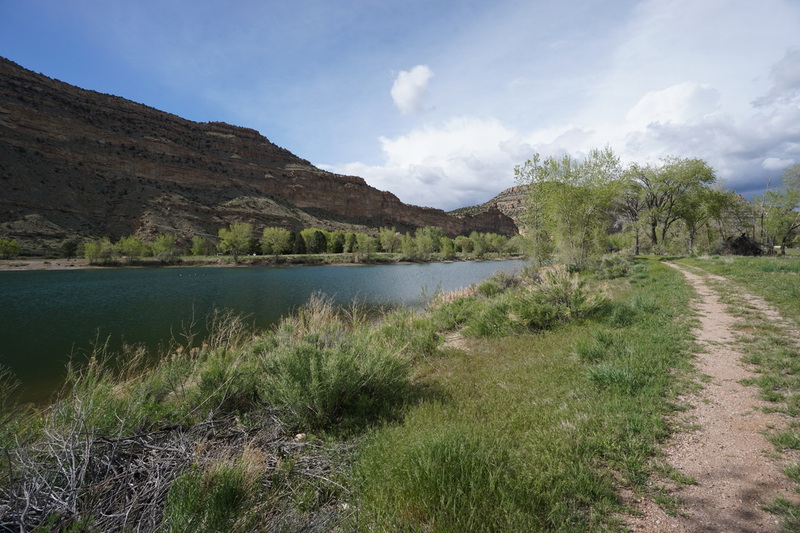 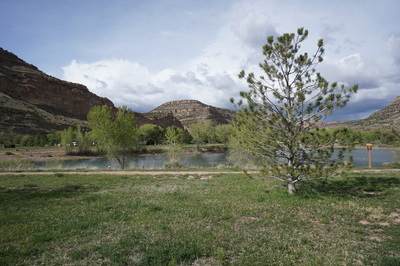 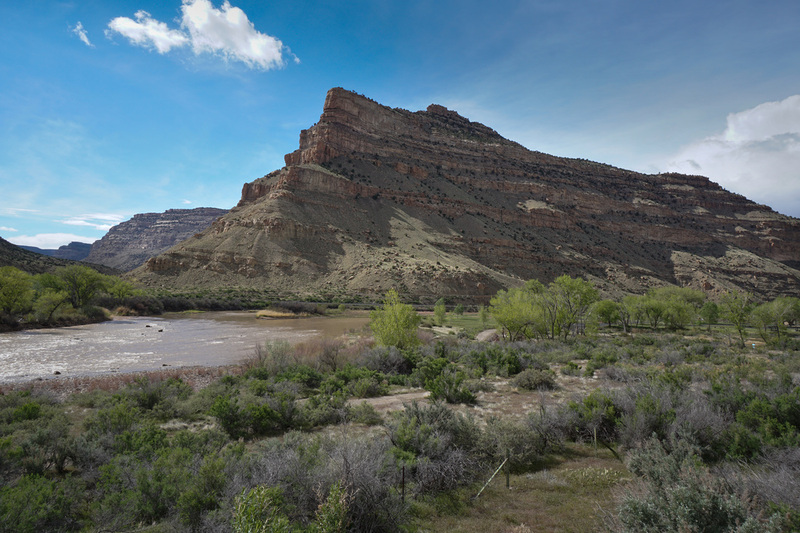 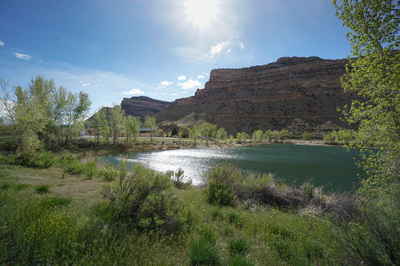 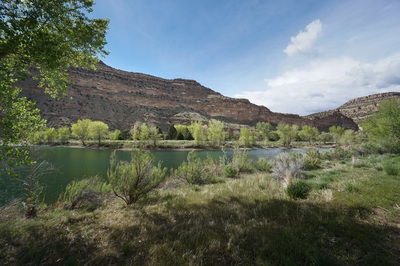 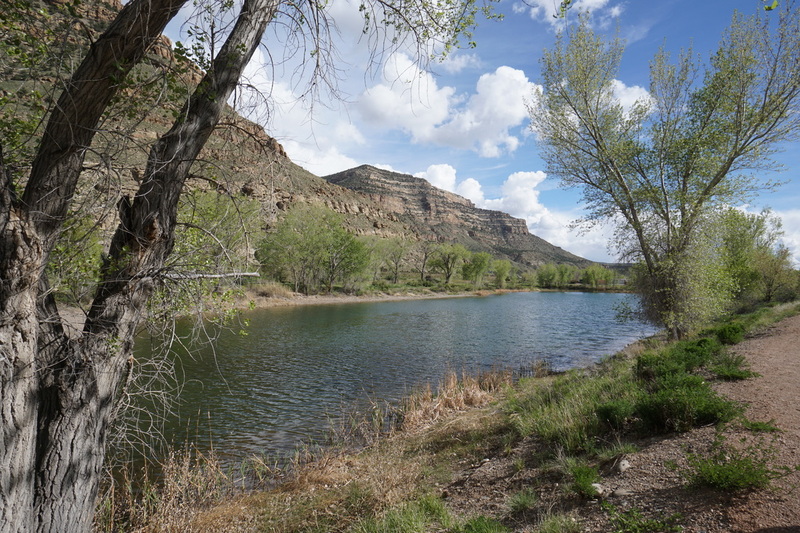 There is also camping in the park, which apart from the highway noise, would be a nice way to enjoy the Colorado River and its accompanying canyon. 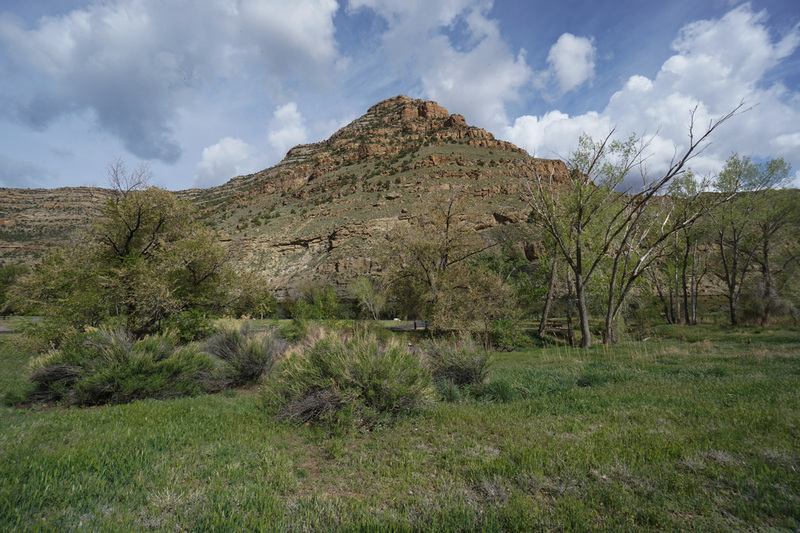 There are not many hiking trails in this canyon, so be sure to take advantage of this quick and easy hike.